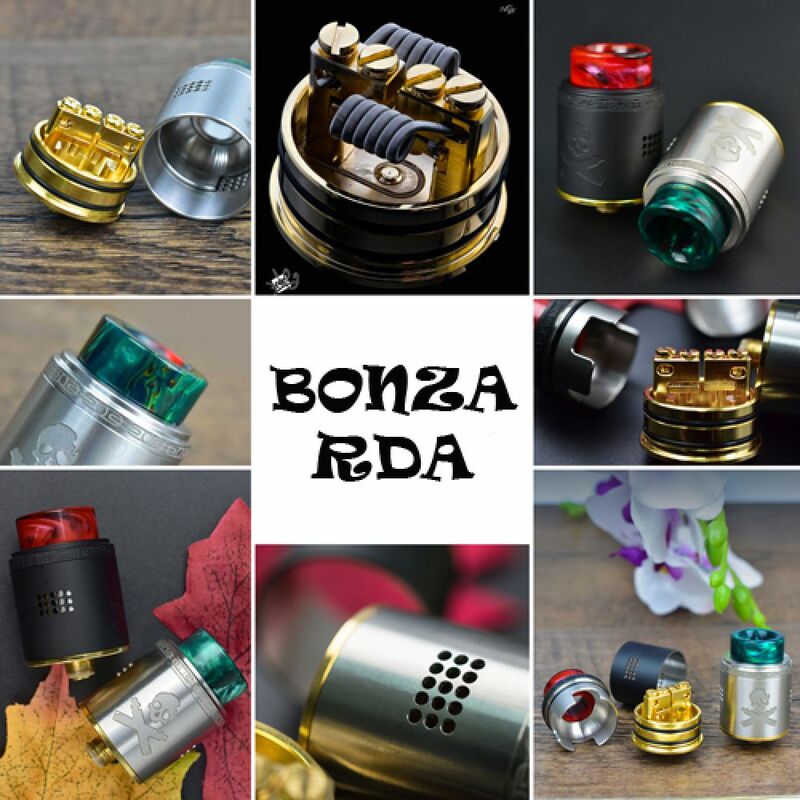 Vandy Vape has been making quite a name for themselves as a newcomer to the vaping industry, and have chosen to continue collaborating with prominent names in the vaping world with the new Bonza RDA. A collaboration between Vandy Vape and Australia's own Vaping Bogan, the Bonza's main feature is the fixed gold-plated screw clamp deck that makes installing any build a breeze with its staggered terminal holes. Airflow is handled with two sets of adjustable side airflow holes, which can be configured to accommodate single coil setups. Externally, the Bonza features a visually striking aesthetic, with Vaping Bogan's skull and crossed mods logo engraved on the atomizer barrel. Included with the Vandy Vape Bonza is a squonk pin to provide bottom-feed compatibility, as well as a 16mm black Delrin drip tip, a colored resin drip tip, a 17.5mm Ultem drip tip, and a 510 drip tip adapter, providing plenty of option when it comes to drip tip choices. In addition to the gold-plated build deck, Vandy Vape have also provided a gold-plated 510 pin to improve conductivity. 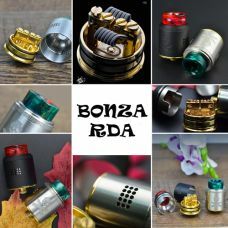 A practical approach to a well-rounded RDA, the Bonza RDA is an indication that Vandy Vape's meteoric rise in the industry is not showing any signs of stopping.